JPMorgan announced Tuesday a digital-investing service that has free trades and no account minimum. Online brokers’ stocks are getting hit hard on the news. JPMorgan shares are ticking higher. Online brokers are under pressure Tuesday morning after JPMorgan announced a digital-investing service that gives users 100 free trades a year and has no account minimum. The selling has wiped out $US5.5 billion in market cap of the biggest online brokers with Charles Schwab (-$US2.64 billion) and TD Ameritrade (-$US2.18 billion) seeing the biggest impact. 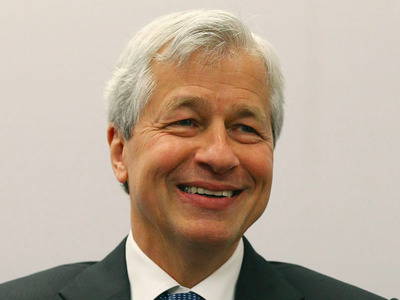 JPMorgan shares are marginally higher.